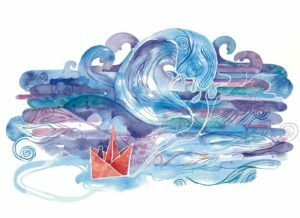 Stress can sometimes make us feel overwhelmed, as if we are navigating the ocean in a paper boat. While we can’t get rid of stress, the way in which we respond to challenges makes a difference in how we experience everyday life. Turning to Jewish teachings and Mindfulness-Based Stress Reduction techniques, we will practice wise and compassionate response to the storms we face. Together, we will establish a sustainable mindfulness practice to help manage stress and feel less overwhelmed more of the time. This 6-week class is for beginners as well as meditators who want to refresh their practice.